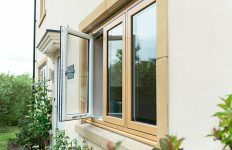 Epwin Window Systems has just launched the website for its latest product, Integral bifolds. Integral bifolds combine an aluminium system with PVC-U detailing. The result is an outstanding, robust and reliable bifolding door that has superior strength and suites perfectly with the PVC-U window systems. The new website has a contemporary design that showcases the stunning aesthetics of Integral bifolds. A gallery section, which is linked from every page, acts as a source of inspiration and highlights the aspirational lifestyle qualities a bifold door delivers to the consumer. 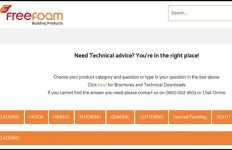 There is a clear focus throughout on engaging the user and delivering more enquiries for Epwin’s Integral customers. The site uses the latest SEO techniques to drive users to the site. There are clear calls to action throughout to encourage visitors to take the next step and a newsletter sign up function helps to drive future marketing campaigns. Integral bifolds have been attracting a great deal of interest in the industry since they were launched. The doors come with many innovative features comprising of specifically engineered robust double-walled aluminium profiles, double hinge fixings, stainless-steel tracks and brushed rollers providing Integral with the additional rigidity to stand up to years of repeated use. All doors are internally glazed and feature a choice of bevelled or sculptured PVC-U beads to complement the style of a property’s windows. A choice of 28 foil colours and woodgrain finishes adds to the appeal. Carmen Velilla, Brand Manager at Epwin Window Systems, commented: “Integral bifolds deliver exactly what the market has been waiting for. 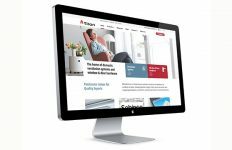 A door that is strong enough to stand up to everyday use but with the aesthetics that sits more comfortably in most people’s homes.” The website looks set to extend the buzz that’s in the industry to homeowners as well.